On the west side of Manhattan, from the west village, where we live, to the Javits Center on 34th Street and the west side highway, runs an abandoned elevated train track called The Highline. Eleven years ago, the Gotham Gal and I took a walk on the old Highline with Joshua David, one of the two founders of Friends Of The Highline, and I wrote this post about what was going to happen. The Highline cost something like $400mm to renovate. Some of the funds came from the city and state, but most came from private donations, like the one the Gotham Gal and I made after taking that walk. And then we got to watch what happened. The neighborhood exploded and is still exploding. There has to have been tens of billions of dollars of investment in real estate along The Highline over the last ten years and it is still going on. I am not including Hudson Yards, which sits at the northern end of The Highline, which is another economic development story but not the one I am telling. And into those buildings move companies and people. New homes get created. Then the coffee shops and grocery stores and restaurants come. And the local economy expands, by a lot. The city and the state taxes this economic activity and its coffers fill up a bit more as a result. When we took that first walk on The Highline, I asked Joshua if there was some way to tax the land owners along The Highline to fund the renovation of it. It was obvious to me that the value of that land was going to go up a lot. He told me there was not. That seemed like a missed opportunity to me back then and still does. 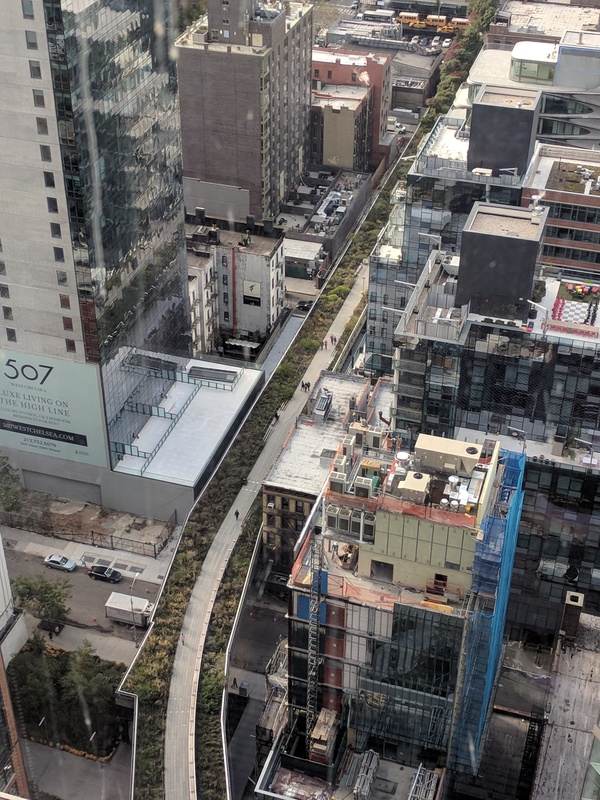 I suspect the increased land values along The Highline are an order of magnitude higher than the total investment in The Highline. That is the power of economic development. It is a virtuous circle. You invest, you grow, you produce economic returns, you invest, you grow. Rinse and repeat. Why am I telling you this story today? Amazon Is Getting $1.5 Billion to Come to Queens https://t.co/B4ITzuSXmj <- Why? @fredwilson Did NYC really need to pay Amazon $1.5B to come there? Will they get it back? It is a great question. And some economist should do the work. The city probably already has. My bet is that the City will get a return on this investment. Possibly a very large one. Twenty-five thousands jobs and all of the economic activity those jobs create are going to do a lot for Long Island City and all of NYC. The annual salaries for those 25,000 employees will be more than the $1.5-2bn that the city and state are committing to this project. When you add to that the real estate that will be constructed and renovated, all of the new homes that will be created for people, and the salaries for all of those construction workers, the local commerce (coffee shops, grocery stores, restaurants, etc) and the salaries that all of those employees will take home, etc, etc, I think it is a “no brainer” to be honest. You can all tell from the posts I have written on this subject over the last week that I am a big fan of economic development. I think it is one of the things that makes a city vital and allows a city to retain its vitality. In the thirty five years we have lived in NYC, we have seen much of Manhattan and Brooklyn rebuilt. Now we are seeing Queens do the same thing. The Bronx and Staten Island are not sitting idle either. It is a magnificent thing to see and I pinch myself every time I think about it.